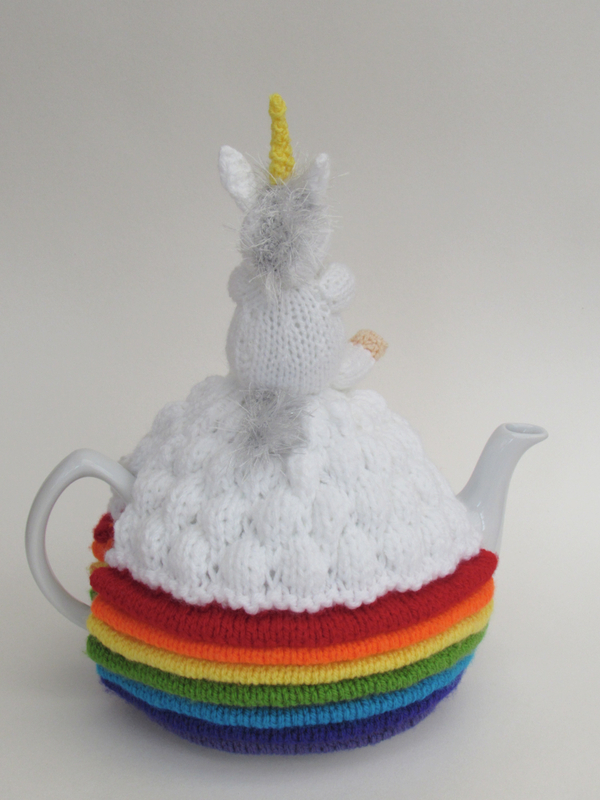 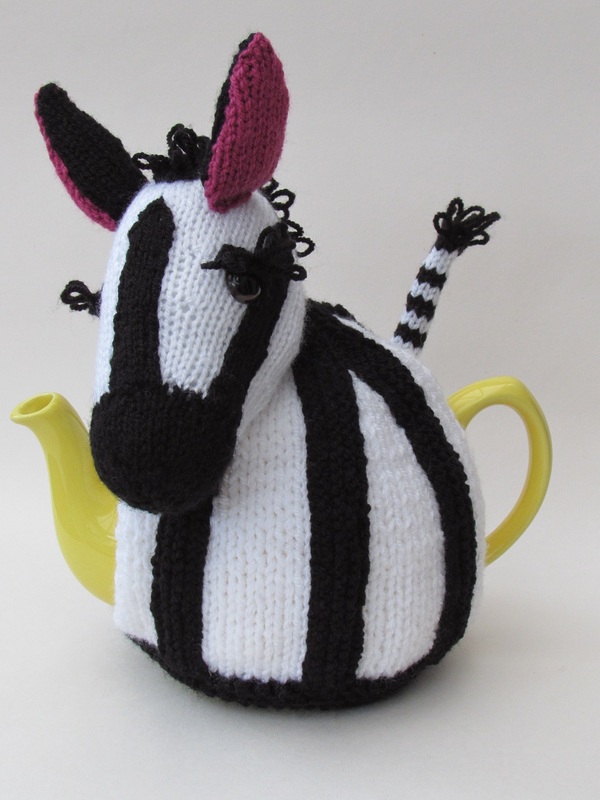 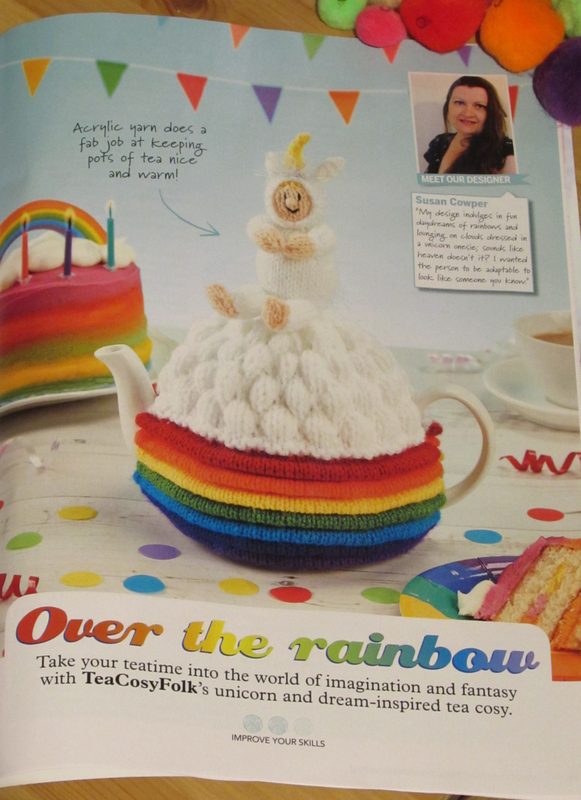 The Unicorn Over the Rainbow tea cosy was designed for the Simply Knitting Magazine issue 174 which went on sale on the 7th June 2018. 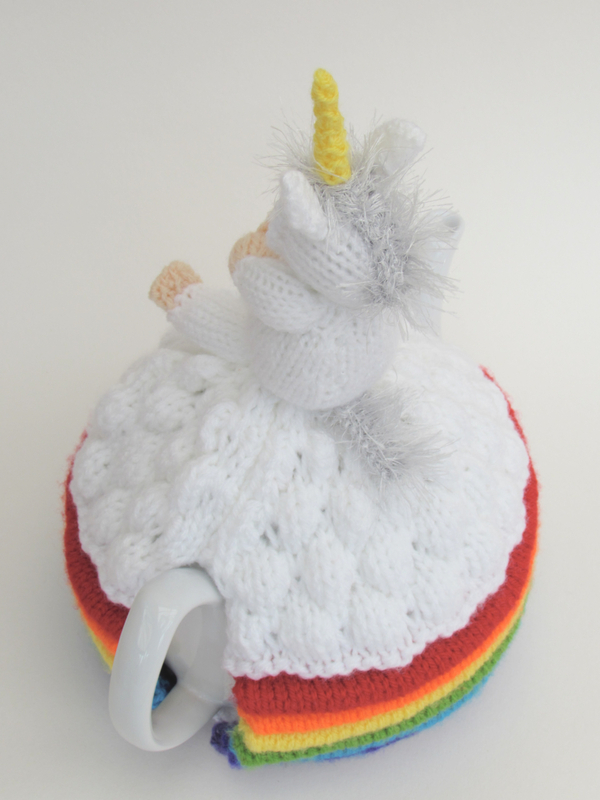 My inspiration for this tea cosy was unicorns and rainbows. 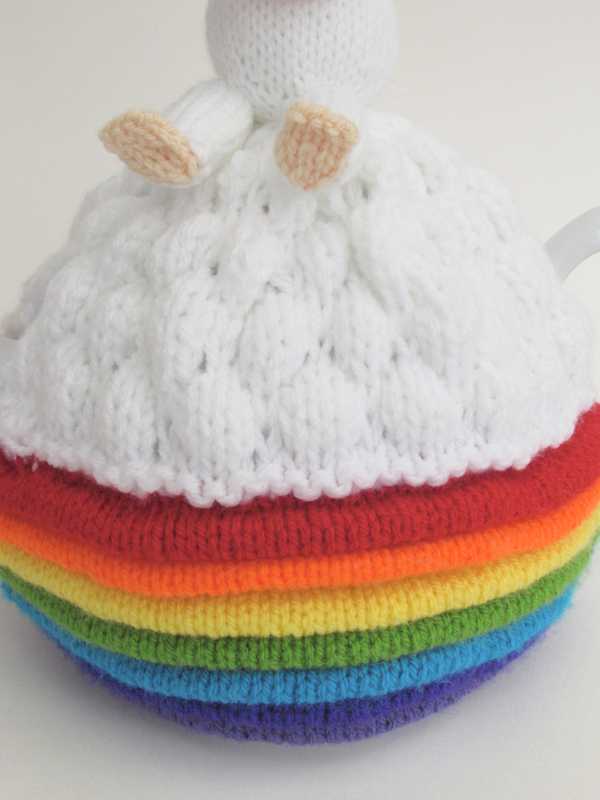 The main part of the tea cosy has a rainbow running around it. 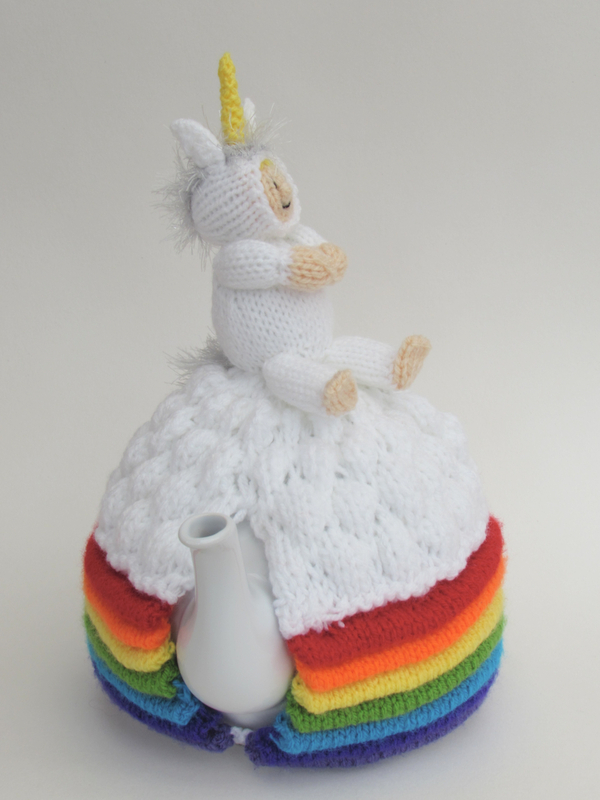 The rainbow is knitted using a lovely technique for raise the surface and to create little insulating tubes. 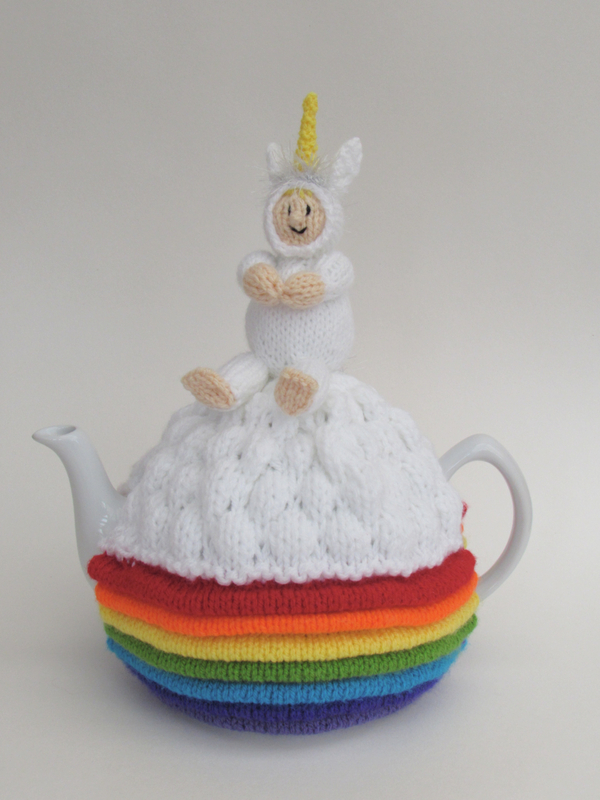 Above the rainbow is a billowy cloud, the drop stitch pattern on the cloud adds great effect. 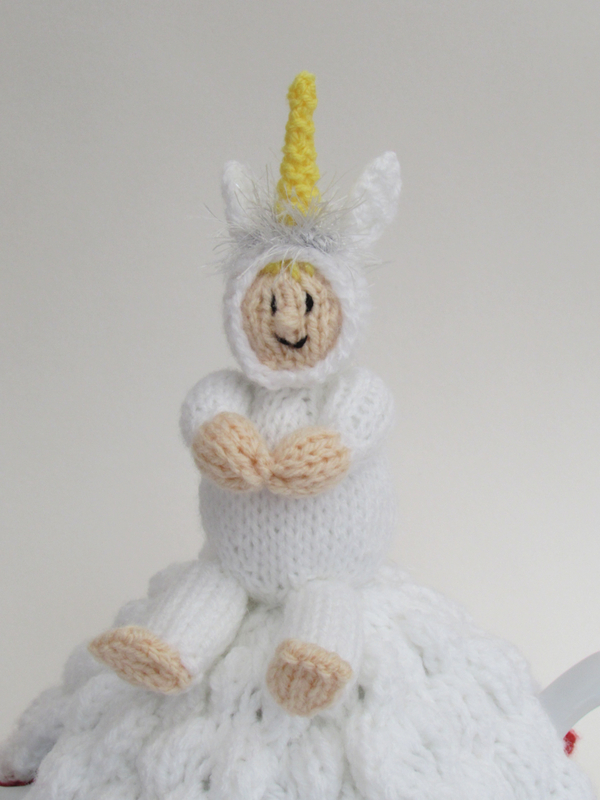 On top of the cloud is a little person dressed in a unicorn onesie. 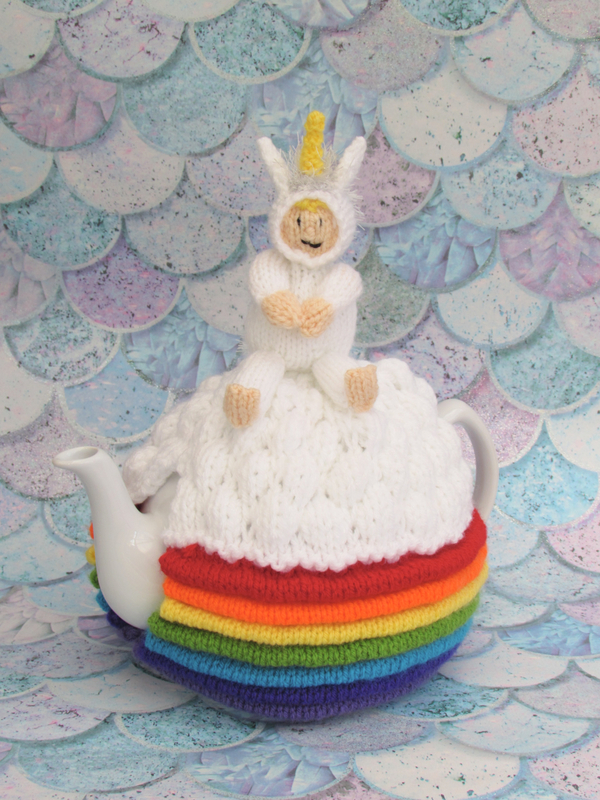 What could be nicer than drinking tea whilst relaxing on a cloud in a unicorn onesie? 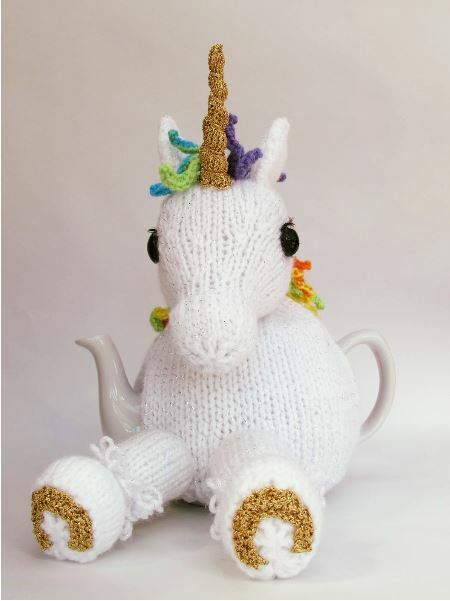 I always loved the film the Wizard of Oz as a child, and I think somewhere over the rainbow, we’d all wear unicorn onesies. 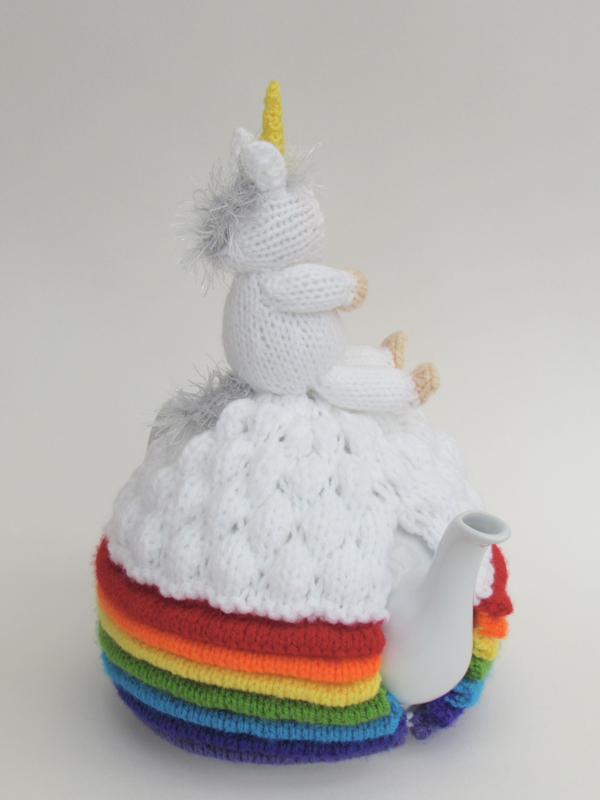 I only added one person to the top of this tea cosy, but you could have a whole troop of unicorns, your family maybe? 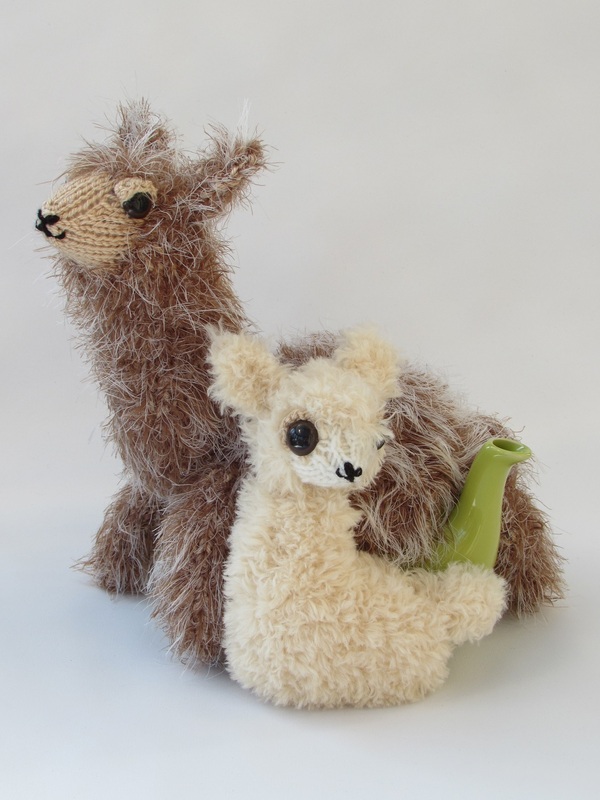 You could make each little person look like someone you know. 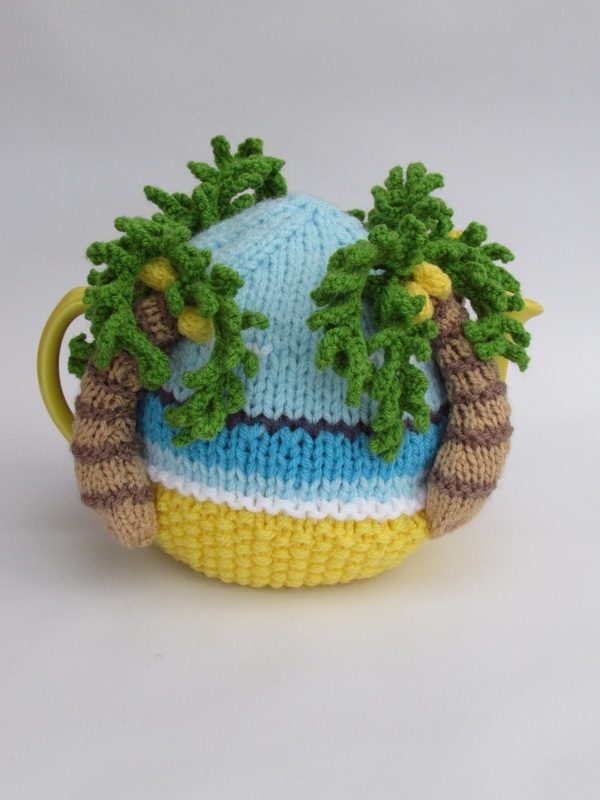 This tea cosy is a large sized tea cosy that covers a large Price and Kensington teapot that holds ten cups of tea, a perfect size for family use. 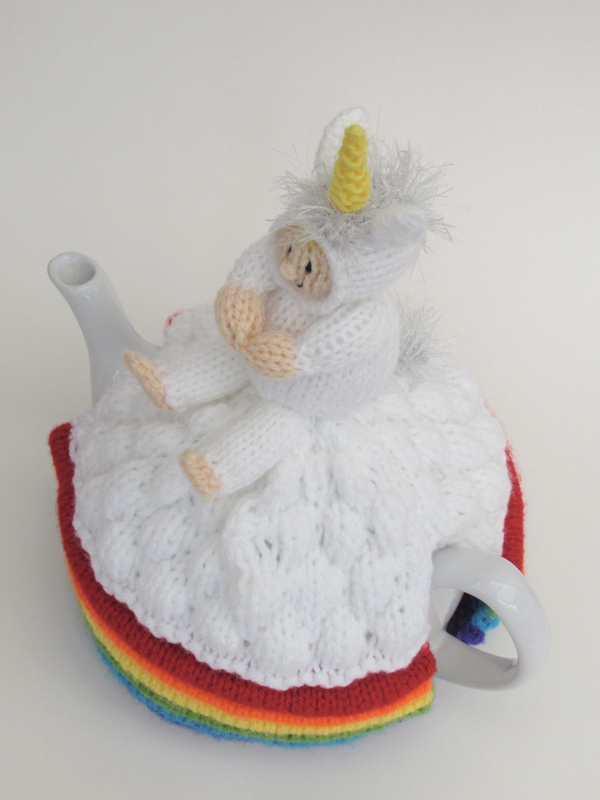 The Unicorn Over the Rainbow tea cosy knitting pattern will be available to buy from the TeaCosyFolk website from the 7th January 2019, in the meanwhile you can buy past copies of Simply Knitting if you missed the pattern when it was first published. 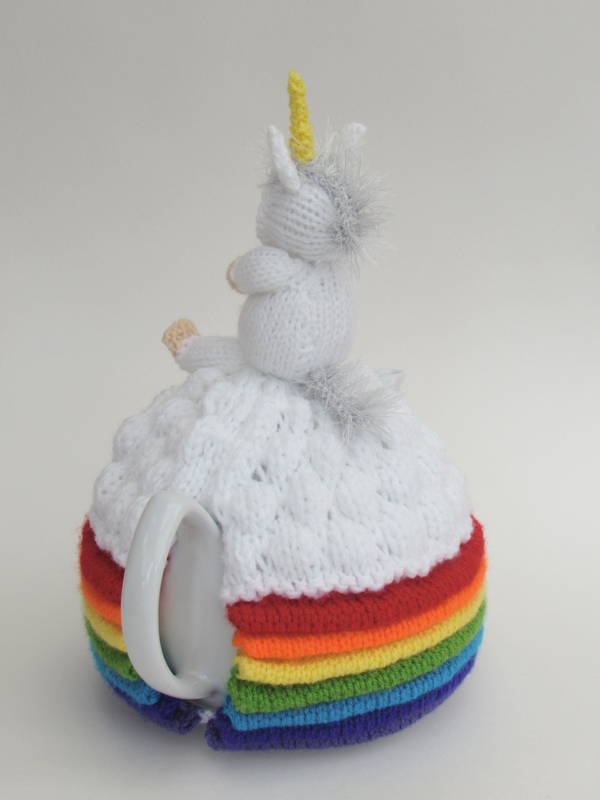 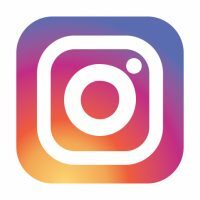 My design indulges in day dreams of rainbows and lounging around on clouds dressed in a unicorn onesie; sounds like heaven doesn’t it? 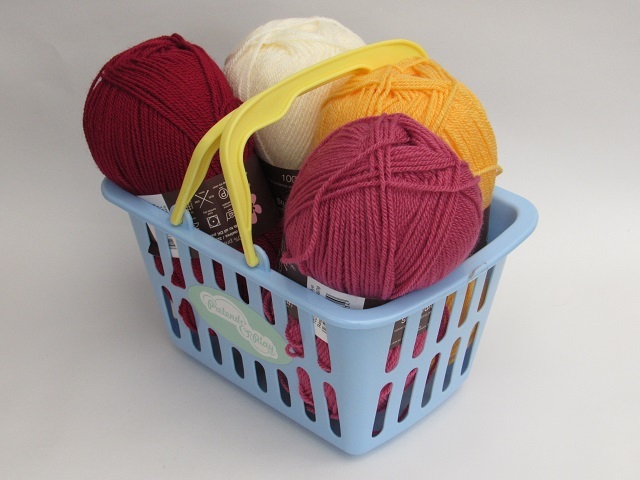 A length of black DK yarn to embroider on face.